The Hearthstone Clydesdale is the perfect solution for drafty, inefficient fireplaces. The large viewing area highlights the ambiance of wood burning while the cast iron and soapstone construction generates a heat output sufficient for large areas. The Cape Cod by Lopi is the most beautiful, flush cast iron wood fireplace insert on the market. The stunning cast iron design, subtle detailing and large viewing area of the single door complement all interior styles, from traditional to contemporary. This wood insert features a three-sided convection chamber, seamless 6″ flue and kiln-fired refractory firebrick. The Cape Cod also has the highest BTU output of any flush wood burning insert, providing 73,000 BTUs distributed by a 180 CFM convection fan, which circulates the heat up to 2,000 square feet. Its advanced combustion system also allows for fires that burn longer and more efficiently, with less wood and burn times up to 10 hours. The Alterra CI1250 contemporary wood insert features a sleek, modern front that transform your fireplace opening into a style savvy, efficient heater. The CI1250 includes a two-speed blower, helping distribute the heat to the far corners of your living space. Backed by the industry’s most comprehensive Limited Lifetime Warranty. Your open masonry fireplace can allow as much as 90% of your fire’s heat to escape out the chimney. 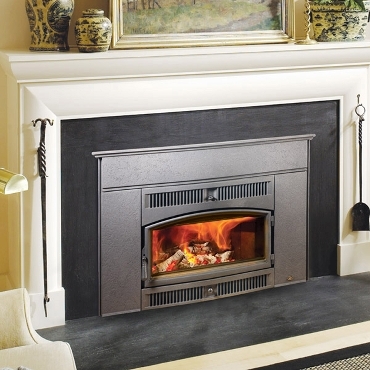 By adding a Regency Classic Fireplace Insert, you will keep the heat in your home. Regency Inserts are ready to install and fit easily into your existing fireplace. Increase the value of your home and decrease your monthly heating bill. The Excalibur Wood Fireplace takes home heating to an entirely new level. The sleek finely finished styling has come a long way from grandma’s old black wood fireplace. Traditional, arched Excalibur styling with tasteful accessory options create the perfect furnace with a view! Backed by the industry’s most comprehensive Limited Lifetime Warranty. 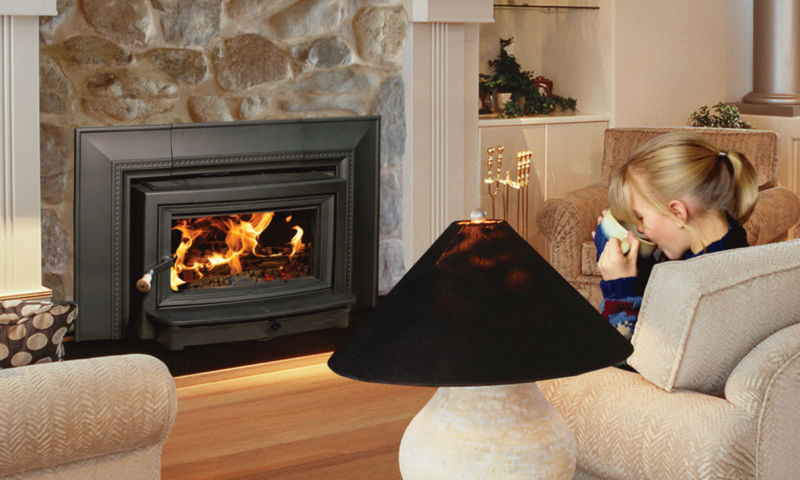 Regency’s high efficiency fireplaces put a designer face on a hard working heater. Just load up your Regency and tuck in for a cozy night’s sleep. Delivering up to 70,000 BTU of high efficiency heat, your Regency will burn for up to 8 hours while you rest. Choose a traditional design (R90) or an arched Excalibur front (EX90) with tasteful accessory options to create the perfect furnace with a view!